There is a belief that studying will help us to learn the technical skills needed for our chosen career path. Have you ever sat in an Econometrics lecture listening to the lecturer mumble something about confidence intervals, lines of best fit etc – concepts which simply go in one ear and out the other? Where the most interesting part of the lecture is checking Facebook on your phone every minute to see if anything has changed or anxiously checking your watch to see when class will end? Why is it that we bother to turn up to lectures at all when we aren’t interested in the subject? Often it is required to complete a specific major or course, which relates to the career path we want to enter. However often students have misconceptions about the reasons as to why we need to complete certain subjects, courses and degrees. There is a belief that studying will help us to learn the technical skills needed for our chosen career path. Although this may certainly be the case for some industries and employers there is also another reason to why we study specific prerequisites. I am here to tell you that we have all been misled. Employers don’t really care about what you learn at university and whether it is directly relatable in the workplace. In fact the main motive behind requesting prerequisite subjects or prerequisite majors is that it signals to them the type of student you are. This strategy often known as “Separating Equilibrium”; a topic studied under Game Theory is often misunderstood and unfamiliar to many students. For those of you looking to enter the competitive job market as a graduate, understanding the strategies of employers can be very helpful. I am here to enlighten you about what employers are really thinking when they set their application criteria. Separating Equilibrium is based on the idea that employers want to separate the “good” students from the “bad” students. Using basic mathematic analysis, employers can calculate a specific subject (course type/degree level) a student needs to study to signal their type (ie. Whether they are a good or bad applicant). Often they use this analysis to guide their prerequisite guidelines in job applications. Therefore, we can see that studying econometrics at university is not about learning econometric modeling, but rather the fact that you have studied econometrics demonstrates to employers the quality of applicant you are. So the next time you are selecting your subjects, keep in mind that although understanding the course material and doing well is important and will most accelerate your success at university, the fact that you simply completed the subject signals important information to your employer. 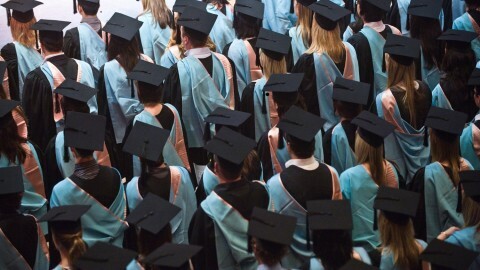 Behavioural economics: why do we study at university?